Calling all misophones in or around London, we need your help! Knowing what happens in the brain during a misophonic episode is essential if we want to learn more about our disorder. Dr Kumar from Newcastle University and UCL has already conducted groundbreaking research in this field and he’s now looking for UK participants to take part in his next study. Please do take a moment to read the below. This is vital research and if you live in London (or can get to London readily) do take a look. It runs over 2 days (3 hours 30 minutes for the first visit and just 1 hour for the second visit). Studies such as this will help neuroscientists better understand our condition, promote better understanding among medical professionals across the board and bring us closer to possible treatments. My name is Mercede Erfanian and I am working with Dr. Sukhbinder Kumar (Newcastle University) on a study looking at the brain mechanism of misophonia. I am writing to you on behalf of Dr. Kumar to explore if you could take part in our new study. 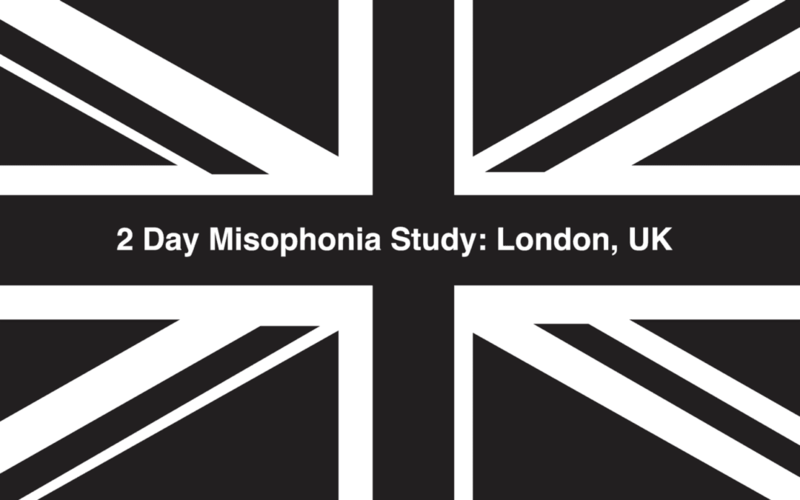 We have designed a new study for which we need participants who have misophonia. If you would like to be considered for the study then please read the following information carefully and then fill-in an online questionnaire, a link for which appears at the bottom of this email. We will analyze your responses in the questionnaire and if you happen to meet the selection criteria for the study, we will contact you again. If you do not have misophonia or you are not interested in taking part in the study then please ignore this email. Misophonia is a complex neurophysiological and behavioral syndrome characterized by heightened physiological responsivity and a high magnitude of emotional reactivity resulting from intolerance to specific auditory, less frequently, visual and tactile stimuli. In a previous published study (Kumar et al, 2017), using functional magnetic resonance imaging (fMRI) we showed involvement of specific brain areas that correlates with misophonic distress. The objective of the current study is to extend the findings of the previous study by using a different brain imaging modality magnetoencephalography (MEG). There are two steps to the selection. First, you will be required to fill-in an online questionnaire (the link to the questionnaire is online). We will then analyse your responses to the questionnaire and if the responses meet the selection criteria, we will give you a call to make sure you are safe to be scanned. 4. You should NOT be on any medications specially antidepressant or anxiolytic (anti-anxiety). The study requires you to visit our lab in London (12, Queen Square London) two times on separate days. The first visit will take about 3 hours and 30 minutes and the second visit will require an hour. The two visits will most of the time separated by a day but it can be more depending on the availability of the scanner. First visit: In the first visit, after filling-in a few more questionnaires, we will measure your physiological responses (heart rate) while you perform a task of counting your heart beats. After that, you will be taken to the MEG scanner, where your brain activity will be measured while you listen to a set of environmental sounds (some of these could be misophonic trigger sounds) or do the heartbeat counting task. The total time for this visit is 3 hours 30 minutes. Second visit: In the second visit, you will be scanned in the MRI scanner while you do the heartbeat task and then a structural scan will be acquired. The total time for the second visit is 1 hour. You will be paid 35 pounds for the first visit and 10 pounds for the second visit. We will also reimburse your travel expenses as long as these are less than 50 pounds. Please keep your receipt/tickets with you to claim the travel expenses. Your participation in the study is completely voluntary and you can withdraw from the study at any time. All personal data acquired will be kept completely confidential. The data collected may be used for publication in scientific journals. No personal data is disclosed and your anonymity is guaranteed under all circumstances. As a Traumatic Brain Injury survivor [RTA 1967] I am very sensitive to noise, especially of a low frequency. Neighbours shifting furniture, repetitive sounds of childer running on bare boards, enhanced bass on sound systems all take their toll. I have been physically sick on occasion. I would have applied as a volunteer, sadly my neurosurgery has left me slightly epileptic. I wish you success with your research. Hi I have desperately searched for research trials for years for my child. He is now 9 and the Misophonia is not getting any easier for him on top of that I feel that his short term memory is not great could it be connected ?? . We are only 50 minutes away from Newcastle and would really welcome the opportunity to be part of any trials or updates.